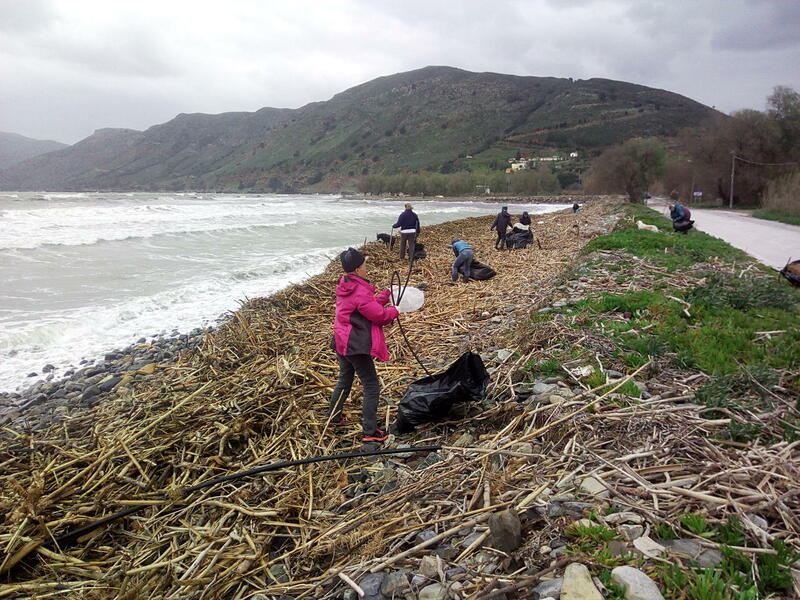 This morning, many citizens of Kissamos and West Crete turned up to clean Nopigia beach, despite adverse weather conditions. The beach was full of bamboo piles and plastic rubbish, a common sight this winter. The volunteer cleaners tackled the challenge with good spirits and picked up as much as they could in two hours. About 20 people took part and collected approximately 50 big bags of rubbish. Next Sunday, April 7th, lots of people will be out cleaning up for the yearly “Let’s do it Greece” event for 2019. The Kissamos Clean Beaches team will meet at Korfalonas beach and continue their work from there. Always trying to have one place to collect our good photos. A very good collection this morning, also a high bags/person ratio!